The Atkins diet and cholesterol management is something I was quite concerned about when I first started on Atkins. We are told that a high-fat diet of meat, eggs and cheese raises cholesterol levels, damages blood vessels and puts you at risk of heart disease. But are these assumptions right? There is compelling evidence that the Atkins diet plan is not only an excellent way of losing weight fast, but also not as detrimental to your cholesterol or to your heart. A study done in 2002 and partly funded by the Atkins Foundation suggests that the diet can actually improve cholesterol levels while lowering weight. The study compared the Atkins diet and a low-fat diet recommended by the American Heart Association. The results were not what researches expected. Dieters on the Atkins plan lost more weight than dieters on the low-fat diet. Good cholesterol (HDL) was up six with Atkins, versus down two on the low-fat diet. Bad cholesterol (LDL) didn’t change much with either diet, whereas triglycerides were down eight with Atkins, versus up forty with the low-fat diet. In another study funded by Atkins done at Ball State University, participants were put on a controlled carbohydrate program for eight weeks. At the end of the study, all participants had significantly lowered their triglycerides levels by 55%. The study further showed that diets high in carbohydrates increased triglyceride levels and actually lowered the good cholesterol (HDL). 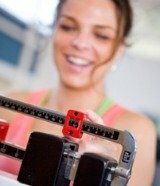 A study done on 120 overweight volunteers at Duke University in 2002 seems to back up the study at Ball State University. Half of the participants in the study were put on the Atkins diet, the other half on a low-fat approach. The Atkins diet participants limited their carb intake to 20 grams per day and 60% of calorie intake came from fat. The results were astonishing: both groups had lowered their total cholesterol levels slightly, but the Atkins participants had increased their good cholesterol (HDL) by 11% and there was a 49% drop in triglycerides. The participants on the low-fat diet showed no change in good cholesterol levels and triglycerides dropped only 22%. So what do these studies tell us? Is the Atkins diet safe? Do you have to be concerned about the Atkins diet and cholesterol problems? Just a look at the base of the Atkins diet food pyramid confirms that Atkins is a diet high in cholesterol intake. In the short term, Atkins seems to bring up good cholesterol while lowering the bad kind. In the long run, though, researchers are still uncertain about the effects of the Atkins diet on cardiovascular health.